BEST TECHNIQUES – If you are looking to get a few on top but they are being tricky drop a zebra midge below your dry only about 5 inches. OUR TIPS OF THE WEEK – The Clark Fork is behind schedule being higher than usual for this time of the year however if things around it continue to drop, it should come back into shape quickly. Skwalas are found throughout the systems with some of the better fishing up high. We do know of some obstructions above Missoula, be sure to call us before you go if you are unsure. 7 DAY OUTLOOK – Things are heating up. We’re going to be in the high 50’s this week! We should continue to drop into better shape. 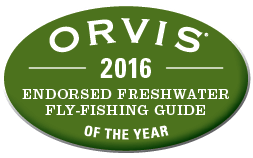 Call or email us for up to the minute updates at 406.542.7411 or if you are in the area stop in our fly shop and say hi at 3055 North Reserve Street in Missoula for all your Orvis gear and the right bugs. DRIES - skwalas and midges NYMPHS - Red beadhead power worm#10, prince #12, phez tails #16, tungsten salvation nymph #14. STREAMERS - olive or natural zonker type pattern #6, sparkle minnow #6, olive or black bead head buggers #8 Don't forget a few big pike flies and metal leader. Rainbows, cut throats, cut-bows, browns, and white fish. 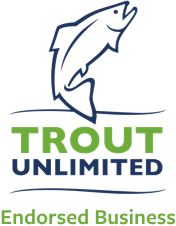 Fishing season is open year round, while the winter is catch and release for trout. 2x to the first bug 3x to the second unless going small then drop down one size.